The first item I uncovered from the box was my Pop! 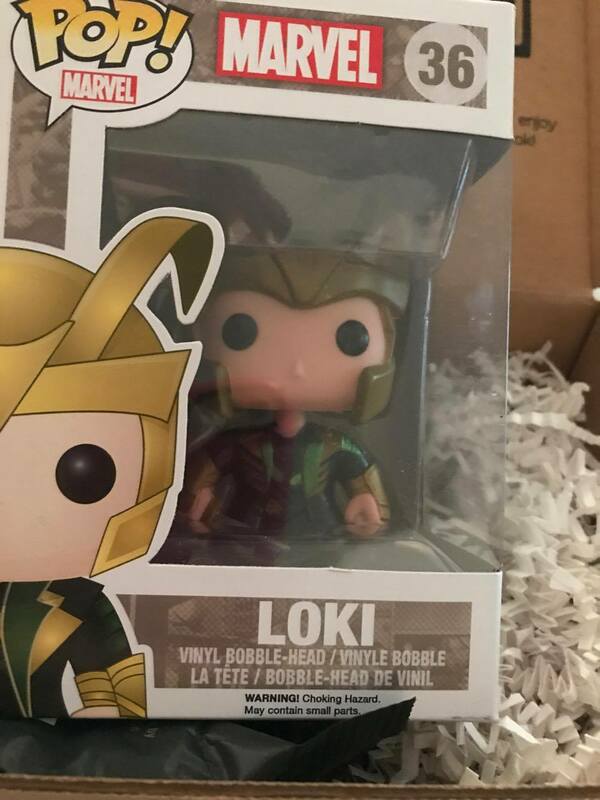 Funko superhero/villain figurine! I screamed a little…. actually, a lot. I GOT LOKI! 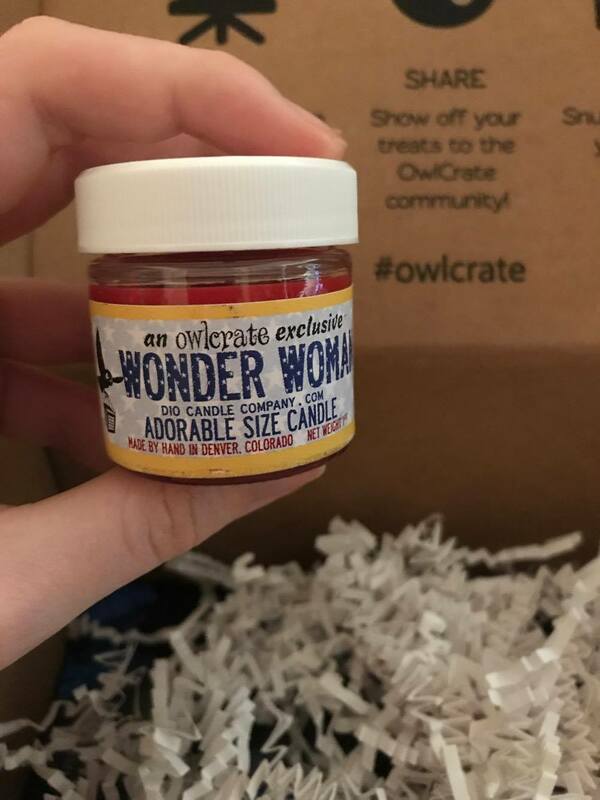 The next goodie I pulled out of the treasure box was an amazing, wonderful smelling, little candle. It smells soooooooo good, like freedom, and apples, spice, and everything nice. I love candles, especially bookish or themed candles like this one. Honestly, this candle rocks. Wonder Woman all the way, guys. Next came another delicious little addition to this box, only this time it was edible. 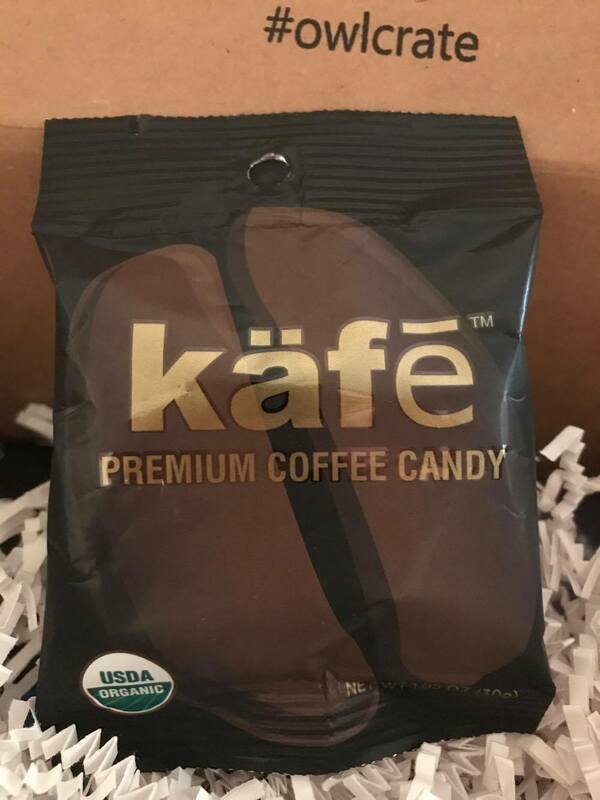 COFFEE CANDY. If you know me, you know I can’t live without my coffee in the morning. And hot damn these are good. They taste just like a good cup of coffee. I was surprised by them, to be honest. Most coffee flavored candy is super sweet and only slightly coffee flavored, but these are perfect, bite-sized cups of coffee. Not too sweet, not too bitter. They’re delicious. I think I’m in love. Up last, but not least, THE BOOK. I hadn’t actually heard of this book much before I got it in the box, but boy am I glad that this showed up on my doorstep. I cannot wait to read this. It sounds amazing, like a wonderful mish-mash of fangirling meets reality. 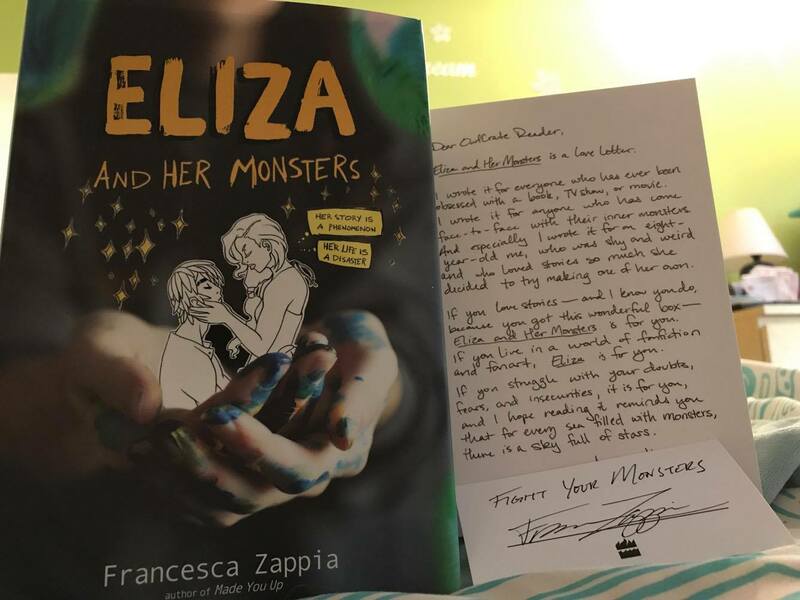 Eliza and her Monsters sounds exactly like the kind of book I want to read all day and every day. 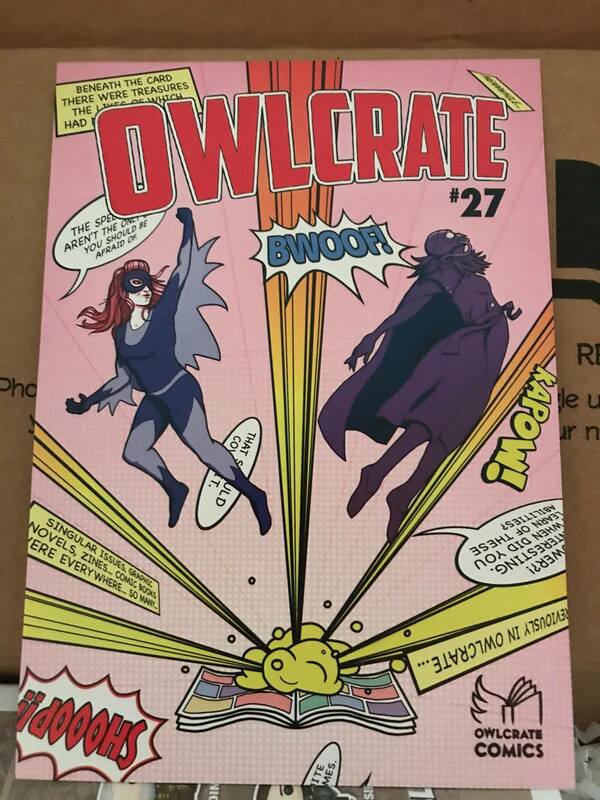 Awesome box! 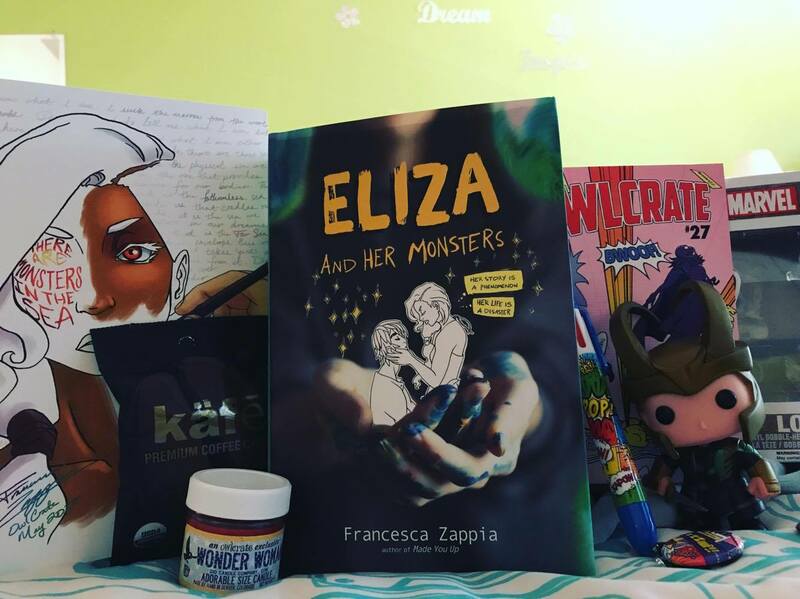 I really want to read Eliza and Her Monsters too!